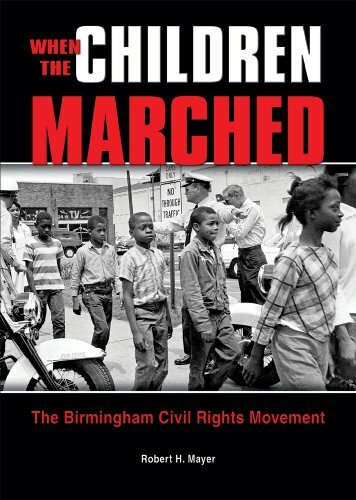 After this dramatic—and earsplitting—opening, Mr. Mayer takes readers on a meticulous journey through the segregated streets of 1956 Birmingham, where Reverend Shuttlesworth mimics the activities of a leader named Martin Luther King, Jr. and pushes to integrate public buses, ball parks, and taxi cabs. There are inserts that explain the Jim Crow Laws, maps of the cities participating in the movement, excerpts of letters from the President of the United States, and responses from his opposition—namely, Governor George Wallace. There are even closeup photographs of Denise McNair, Carol Robertson, Addie Mae Collins, and Cynthia Wesley, the four young girls who died after the bombing of the Sixteenth Street Baptist Church.